It’s encouraging to think about guardian angels who watch over you and the people you love. Yet it can be challenging to imagine what those angels may look like since they do their work invisibly most of the time. Here’s a look at how guardian angels appear. Sometimes, guardian angels actually appear to the people they’re protecting. They may show up either in their heavenly form as beings that are glorious to see or in human form, looking just like people. However, Guardian angels usually do their work unseen by human eyes, believers say. 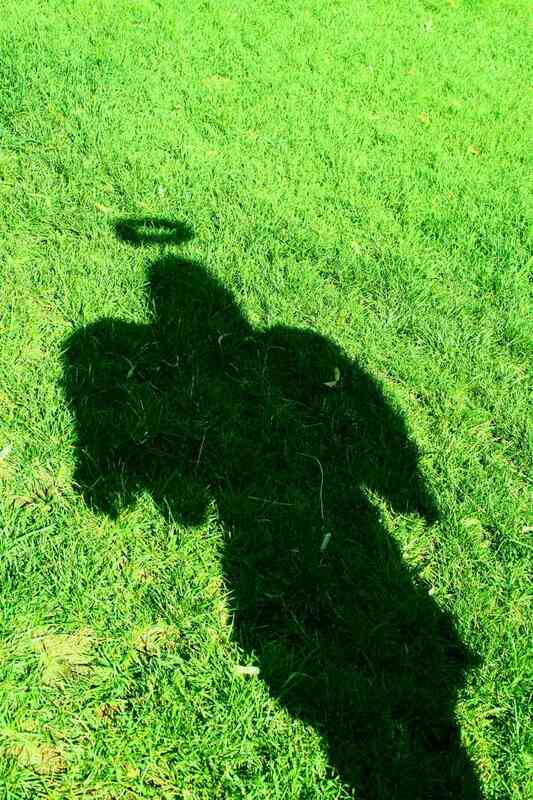 In his book "Summa Theologica, " Saint Thomas Aquinas writes that the way God has set up the natural order means that guardian angels are usually invisible to the people they protect. The fact that guardian angels "sometimes appear to men visibly outside the ordinary course of nature comes from a special grace of God, as likewise that miracles occur outside the order of nature,” Aquinas writes. People often don’t notice the times when guardian angels are likely protecting them from everyday hazards that they may not even realize they’re facing, writes Rudolf Steiner in his book "Guardian Angels: Connecting with Our Spirit Guides and Helpers." "Innumerable things … take place in which our destiny prevents us from having an accident, but we just do not notice them. The reason why we do not study them is because it is not so easy to see the connections. People follow them up only if they are so striking that they cannot help noticing them." Just because you don’t normally see guardian angels around you doesn’t mean that they’re not there, writes Denny Sargent in his book "Your Guardian Angel and You." "You have only very limited senses with which to perceive the world, so you can’t normally see angels who may be around you. These beings are as real as you, but they are formed of a different kind of energy, an energy that is usually beyond your perception. You can only see a small part of the light spectrum. You can’t, for example, see ultraviolet light, but you know it exists nonetheless." The sight of angels appearing in their heavenly form is an awesome experience. Angels who show up in heavenly form radiate powerful, loving energy and emanate light, writes Denny Sargent in "Your Guardian Angel and You:" "When angels appear, they are always accompanied by amazing waves of pure love and power. They almost always appear as beings of light. Sometimes they come as balls of light, sometimes as glowing bands of light… White is the color most often attributed to them, although many different colors are also mentioned in various historical accounts." When angels appear in heavenly form, they may also have magnificent wings that symbolize God's power and loving care for people. They may also have other exotic features that distinguish them from human beings, such as extreme height or even body parts that resemble those of animals. Guardian angels may look so much like human beings when they’re on missions to protect people that the people they’re helping may not even know they’re in the presence of angels. The Bible says in Hebrews 13:2: "Do not forget to show hospitality to strangers, for by so doing some people have shown hospitality to angels without knowing it." However, even when guardian angels look like humans when they appear to help people in danger, people often suspect that the mysterious strangers coming to their aid may not actually be human. "Angels can take on human form to help us during crises … they often appear in stressful, fearful situations. They stay, offering gentle comfort until, their job complete, they disappear without a trace. Only then do we know that we’ve been touched by the Divine," writes Doreen Virtue in "My Guardian Angel: True Stories of Angelic Encounters from Woman’s World Magazine Readers." Believers say that guardian angels are nearby and ready to help you all times -- whether they show up in visible form or work invisibly behind the scenes of your life. If you could wear a pair of "eyeglasses with divine lenses" that would reveal "all of life's spiritual realities," you would see many angels surrounding you constantly, writes Anthony Destefano in his book "The Invisible World: Understanding Angels, Demons, and the Spiritual Realities that Surround Us." "You'd see millions and millions of angels. Angels all around you. On buses, in cars, on the street, in the office, everywhere there are human beings. Not the cute, cartoonish figures with halos and wings that appear on television shows or in department store windows, but real, live spiritual beings with immense power -- beings whose main objective is to help us get to heaven. You'd see them assisting people with their daily lives, talking softly in their ears, encouraging them, warning them, helping them to avoid sins."